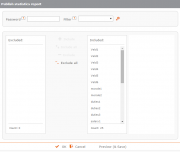 Statistics generated by form entries normally aren’t visible to others. You can, however, elect to make an overview of these statistics publicly available by publishing it on the internet. 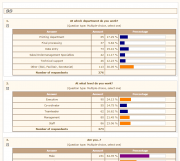 You can select the questions of which the statistics should be included in the overview. The overview’s standard layout matches that of your form. Perhaps you would like to publish the statistics of only a certain selection of data. In this case you can apply a filter to the overview. 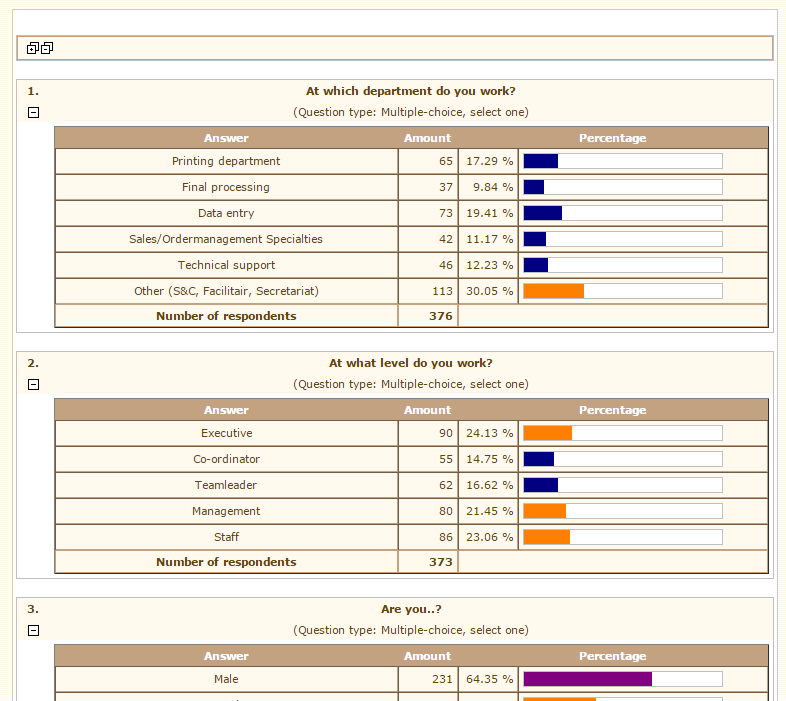 If you would like to grant statistics access to only one group of people, you can secure the overview with a password. It’s also possible to add users that can log in to your Formdesk account. 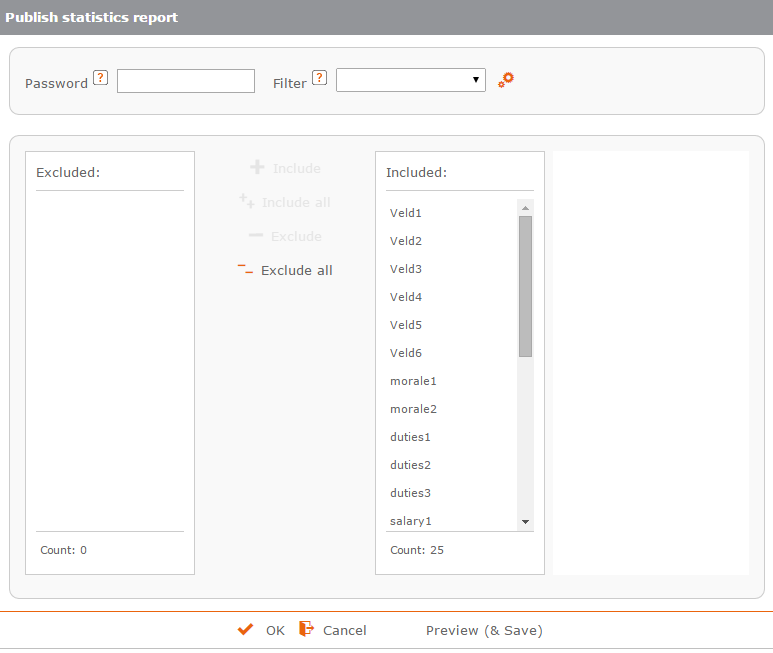 This user can then view all statistics or a selection thereof. Think, for example, of a customer who only has permission to view the statistics for one of your forms or a regional manager who is only allowed to view statistics concerning his own region. You can set the statistics to be displayed as a separate page after form submission so that the visitor can immediately see the relevant statistics up to that point. If you have administered a questionnaire or taken a poll and would like to thank the participants and send them the statistics from the results, you can use the Group email feature.